The U.S. Virgin Islands are a slice of Caribbean paradise, featuring beautiful white sand beaches, luminescent turquoise water, and lush green landscapes for exploring. Whether you go hiking in St. John along the Reef Bay Trail, discover history at the Cinnamon Bay Plantation, or lounge at Francis Bay with a frozen cocktail in hand, there are many fun things to do in St. John. Here are some of our fun things to do in St. John! Find out more about all of the fun things to do in St. John when you read our Activities Guide. It’s full of the best recommendations for things to see and do during your vacation stay with us at CimmaronStJohn! Part of getting on island time is enjoying a frozen daiquiri or salt-rimmed margarita any time of the day! Some of our favorite island concoctions are Caribbean Rum Drinks. You can find a variety of these delicious drinks at beach bars around the island, or you can try out your mixology skills by making them at your private CimmaronStJohn kitchen! Some of our favorites include the Painkiller, Rum Punch, and a Dark and Stormy. With a beaucoup of beaches to choose from during your St. John vacation, it can be hard to decide which sandy stretch to spend your day. If you’re looking for fun things to do in St. John regarding the water, yet also appreciate some privacy, then Francis Bay is a great destination. Here, you can go swimming or snorkeling along the shoreline to see rays, sea turtles, and colorful fish. You can also take a kayak route out to Whistling Cay for an added adventure! What makes a good restaurant here in St. John? Well, food for one thing but also the ambiance! Located just steps off the ferry dock in Cruz Bay, Cruz Bay Landing has one of the best atmospheres around. With gorgeous waterfront views and a large outdoor dining space, you can begin your vacation right when you land on St. John! Enjoy the sunshine outside on the deck or grab some shade under the umbrellas. The inside space is light and airy, letting in all those natural views that make the island the true paradise that it is! Stop in for any meal of the day at this favorite restaurant. Eco tours in St. John are great ways to explore the island while learning about the incredible wildlife and ocean life that inhabit and surround it. So what exactly is an eco tour? It is a form of visiting pristine and relatively undisturbed natural areas to discover more about them while learning how to preserve and protect them. Learning more about the beautiful nature that you will get to enjoy during the rest of your vacation is one of our top recommendations for fun things to do in St. John! The Reef Bay Trail in the U.S. Virgin Islands National Park holds the secrets of St.John’s tropical forests, sugar mill ruins, and ancient petroglyphs. The two-mile trail explores the depths of the island, featuring a steep rocky terrain, 40 foot waterfall, and a freshwater pond near the trail’s end. When adventuring from your CimmaronStJohn vacation home, pack a light lunch, plenty of water, and a swimsuit to take a dip! The perfect vacation includes some cherished alone time with family, friends, and loved ones. 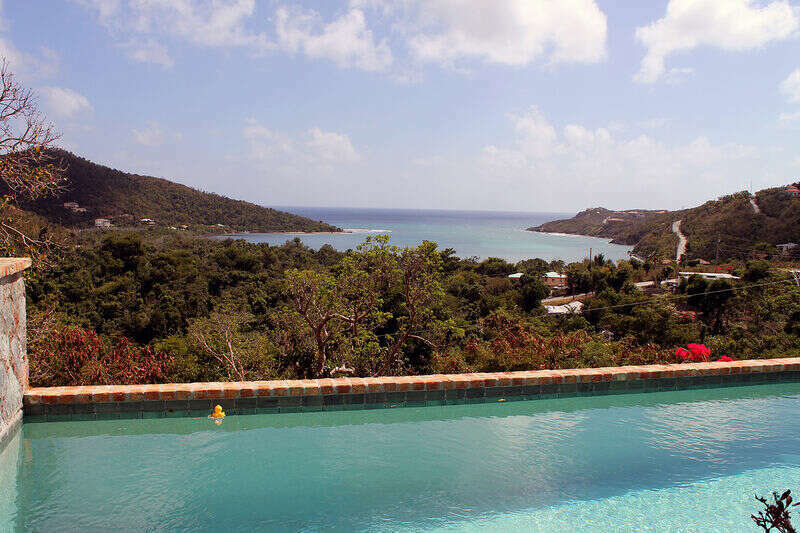 When you choose CimmaronStJohn as your accommodation in the Virgin Islands, you will be choosing some extra special memories to last a lifetime! Our private villas, condos, and homes around the island boast gourmet kitchens, expansive decks with beautiful views, and plenty of space for everyone to enjoy! Discover St. John in a whole new light when you stay with us during your family vacation, friend getaway, or romantic retreat!